Visit eVisas are now available to the citizens mentioned in the below table. Bahrain eVisa eligibility has now been extended to 114 nationalities. Additionally, visa on arrival eligibilty to bahrain is now extended to nationals of certain European and Central and South American countries. 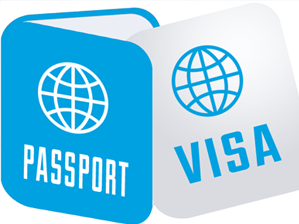 Some visas are “standard” because they are visible in the passport as a stamp or label. 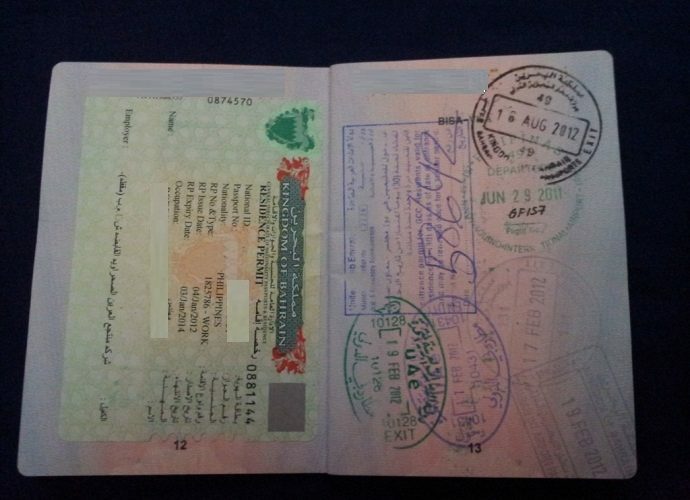 Some visas are available on arrival in Bahrain, but otherwise visas must be pre-arranged, either through a sponsor, or an embassy. 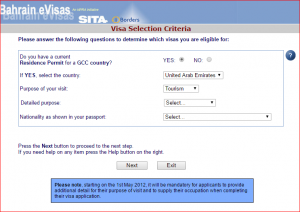 You need to select the country, nationality, purpose of visit to Bahrain.